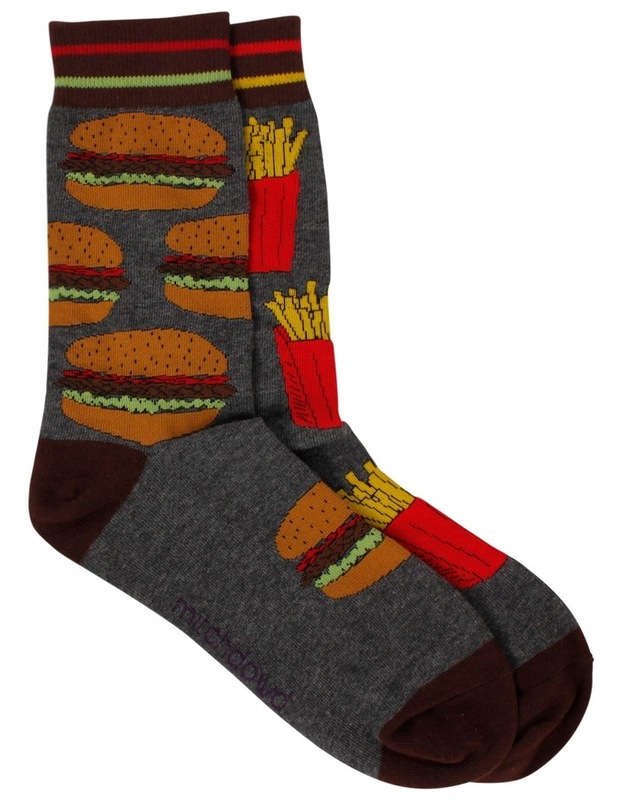 Never feel like one of the pack with these quirky Burgers & Fries odd socks. 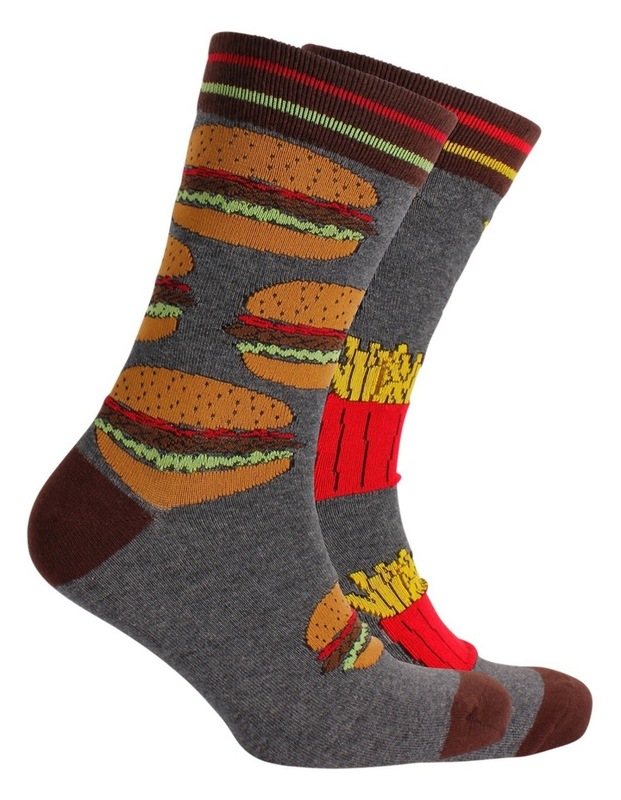 They are taking the fashion sock trend to a new whole new level. 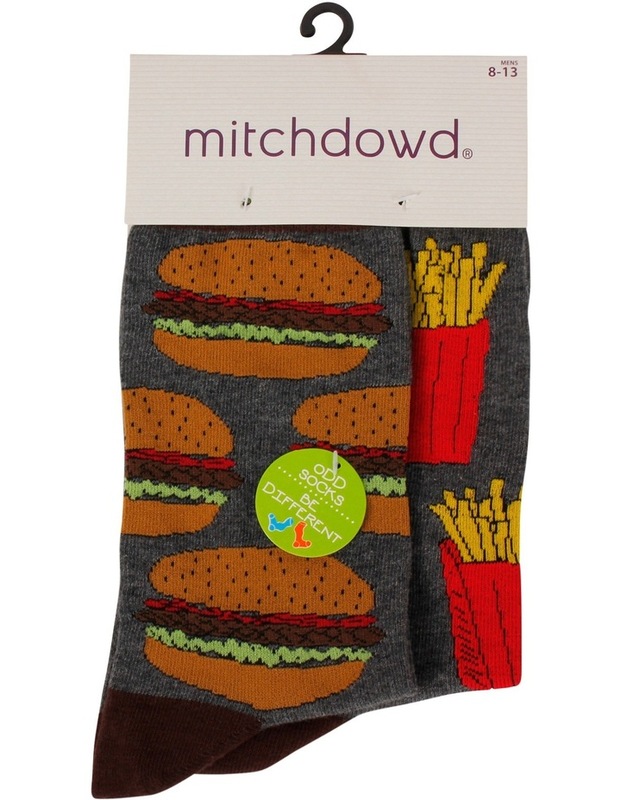 With off-centre design featuring burgers and Fries along with contrast colour toe, heel and cuff. Great for everyday wear or the perfect gift idea for the man who has everything. Size 8-13.